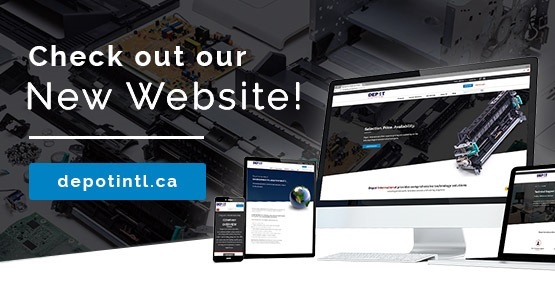 Depot International Launches New Website for Canada | Industry Analysts, Inc.
June 4, 2018 – Chicago, Ill – Depot International, the global leader in the distribution and manufacturing of laser printer parts, announced today the launch of a new enhanced website for Canada. Depotintl.ca provides users cutting-edge functionality and extensive product information for all Depot International products and services. Depot International is the global leader in the distribution and manufacturing of laser printer parts and certiﬁed pre-owned printers, selling to printer service organizations and resellers. Depot International oﬀers customers the best parts distribution capabili­ties in the industry, outstanding personalized customer service and market leading prices. Depot International also oﬀers comprehensive recycling programs for maintenance kits, fusers and printers. This entry was posted in Clover and tagged Depot by IA Staff. Bookmark the permalink.